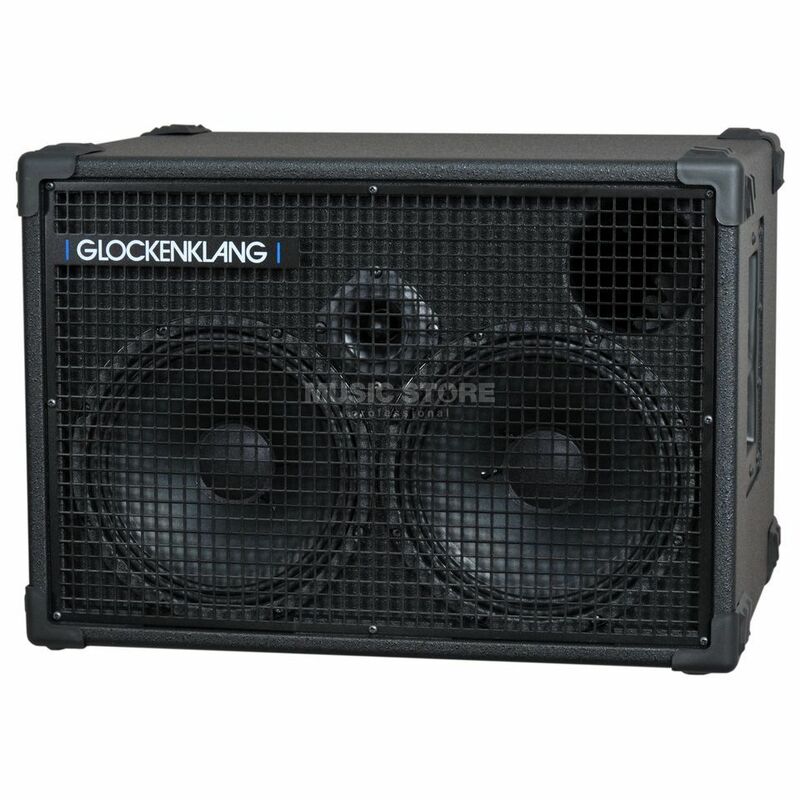 The Glockenklang Duo Cab 8 Ohm Bass Guitar Amplifier Speaker Cabinet is ideal for use on its own at smaller gigs or as part of larger rig for use at big venues. The Glockenklang Duo Cab is equipped with a pair of specially developed Volt 12” speakers that are joined by a fully adjustable tweeter, a setup that is rated to handle a powerful 400 watts at 8 Ohms. This setup is housed in a front ported Birch-ply cabinet that helps to produce an even frequency response across its 40Hz – 18KHz range.